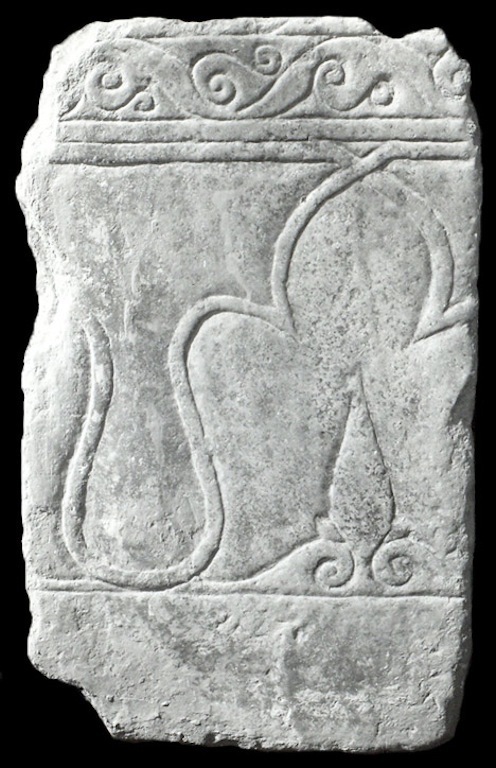 Dado carved in bas-relief (type 7). This type is represented by one specimen. The decoration is composed of two horizontal sections: the upper section consists of incised half-palmettes; the lower section consists of a sequence of interlaced trilobated arches. The arches enclose an incised vegetal motif. This type might have been used as an architectural dado or as a tomb paneling. It differs from dadoes type 7a mainly for the absence of vegetal motifs between the arches.